Almost everyone has smartphones that utilize high speed internet these days, and one of the most successful social media advertising technique business owners are using is through location-based networks. There are many geolocation applications out there today but the most popular ones are Foursquare, Groupon, and Facebook Places. When users allow these applications to track their location through their smartphone, they can take advantage of the many deals business owners are implementing through them. Foursquare’s geo-centric method lets users “check in” at various locations. If a user checks in at a venue enough times, he or she can become “mayor” of that location. Business owners offer specials based on first-time or multiple check-ins and sometimes award the mayor of their business unlimited special privileges. Foursquare has found much of its success in the restaurant and bar industry where giving away free desserts or drinks based on check-ins drives more traffic to the business. Foursquare has also recently updated their application to include an ‘Explore’ feature. If a user uses this option, they can choose what kind of venue they are looking for and Foursquare will display businesses based on the user’s location. Foursquare has also added the gamification aspect to their application by keeping leaderboard scores within the app and offering special badges specific to check-ins. Despite Foursquare’s seemingly popularity, it only claimed about 6.5 million users worldwide in 2010. Facebook Places, on the other hand, said that in the first two months of its launch in the fall of 2010, 30 million users had tried out its service. However, there have also been studies that say that Foursquare users are checking in more often than those on Facebook Places. Still, Facebook Places does have its own advantages. Like Foursquare, Places has found a way for business owners to capitalize on geolocation. Facebook Places also lets owners create specials for users checking in at their locations. Places took it one step further with their ‘Charity Deals’ feature. Through this option, businesses can donate a certain amount of money to specified organizations based on the number of check-ins the businesses receive. This type of cause marketing is appealing to both businesses and consumers. Another plus for Facebook Places is that it allows users to publish their check-ins to their Facebook walls and tag friends in the post. This is a feature Foursquare does not yet have. Groupon has taken geolocation in a different direction. 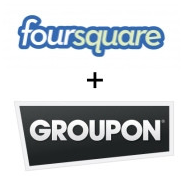 Whereas Foursquare and Facebook Places relies on users to mostly find the location and then check-in, Groupon does a better job helping users decide on their next stop based upon their locations and the deals that Groupon has to offer. Soon, Groupon will take this a step further. Through their mobile application, they will offer users two two-word options: I’m bored or I’m hungry. Based on the user’s choice, Groupon will find the user’s location and give them the best deals for either something to do or something to eat. While this is similar to Foursquare’s new explore option, it is clear that Groupon’s focus on deals will make this a popular feature. No one really knows where geolocation networks are going, but they are widely popular in this new world of smartphones and high speed internet. Using them frequently will be beneficial to users because of great deals when they are out and about and visiting new locations. Businesses will also see the benefit by appealing to new groups and gaining added exposure to relevant consumers in their area. Blake Sanders writes tech at broadband comparison site Broadband Expert with a specialty in high speed internet, cell phones, and internet provider news and info. Note: Photos courtesy of youspout and quintanomedia via FlickR Creative Commons.